Our lusciously creamy chicken Alfredo has four cheeses and is served over fettuccine. Add a Healthy Living appetizer, side and salad and it's dinnertime! 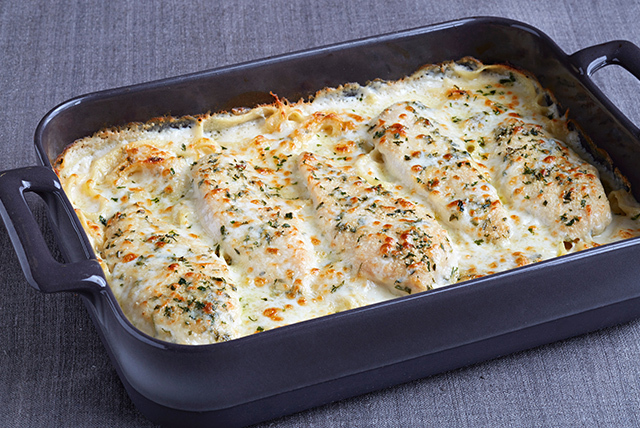 This chicken alfredo casserole has a lot going for it: cheese sauce, a bed of pasta, Parmesan and mozzarella on top AND it takes just 15 min. to prep. You can bake these bite-size frittatas ahead of time and reheat them while the chicken Alfredo is baking. 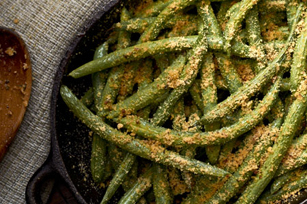 This green bean dish is so hearty you'd never guess it's a Healthy Living recipe. Not a fan of green beans? Try one of our zucchini recipes instead. 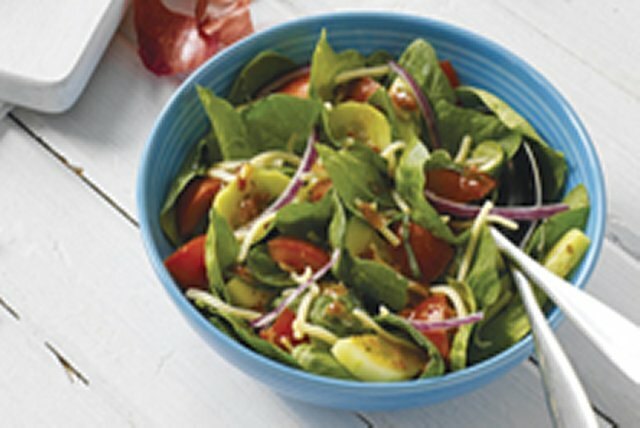 We're on a roll here with spinach: This dish has fresh spinach in a salad where it's paired with fresh tomato and basil.